This match up activity requires pupils to drag the correct defintions to the correct answers. In this case pupils need to match the correct element of population policy with the correct country. This activity gets pupils thinking about where different counties fit in on the model. They simply drag the flags around to where they think they go. They need to decide on the place for the UK, Brazil, USA, India, Germany, Ethiopia and Russia. To reset.. This match up activity requires pupils to drag the correct defintions to the correct answers. 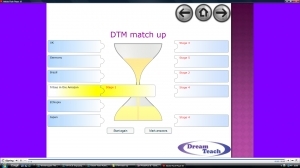 In this case pupils need to match the correct parts of the world with the correct stage on the DTM. 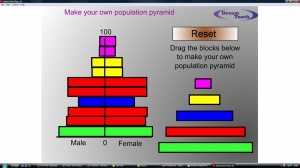 This flash resource allows pupils to create their own population pyramid. This allows them to demonstrate whether they fully understand the pyramids by creating pyramids for different countries and scenarios. Pupils simply drag the bars across to the.. This is two pages of activities about migration. It focusses on rural to urban migration. The mark, back and next buttons all work. In this resource there are two pages. 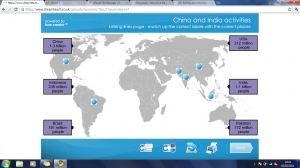 The first focusses on population distribution and asks pupils to drag the correct label to the correct part of the map. 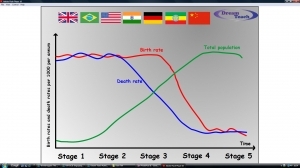 The second requires pupils to order the demographic transition model stages in the correct.. 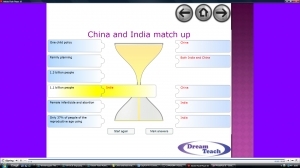 This match up activity requires pupils to drag the correct population to the correct country. In these activities, pupils have a variety of tasks to complete. They all focus on the population problems and strategies used to address them, in India and China. The mark, feedback and back buttons all work. There are four pages in total, but you can..